Here the darkness is already decreasing, therefore interrelated elements come together. Here too the complement must be found - the necessary wisdom to complement joy of action. Then everything will go well. The complementary factor postulated here is the reverse of the one in the first line. In the latter, wisdom is to be complemented by energy, while here energy is complemented by wisdom. He breaks his right arm . No blame. Zhen is movement; Li is flame, whose attribute is clarity. Clarity within, movement without - this produces greatness and abundance. The hexagram pictures a period of advanced civilization. However, the fact that development has reached a peak suggests that this extraordinary condition of abundance cannot be maintained permanently. That which attains a place in which it is at home is sure to become great. 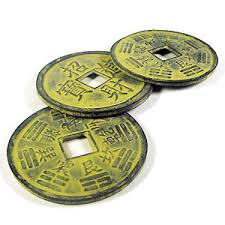 Hence there follows the hexagram of ABUNDANCE. Abundance means greatness. 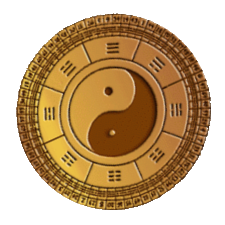 This hexagram is composed of Zhen, which strives upward, and Li, which also moves upward. The nuclear trigrams are Dui, the Joyous, the lake, and Xun, the Penetrating, the wind. Hence wind and water, and thunder and lightning, are together here and all this points to great power. Something of a climax is indicated in that Zhen, which is the more vigorous in movement, is above. While Shi He, Biting Through (21) deals with the problem of surmounting a hindrance, here the hindrance is already surmounted. Still, greatness at a pinnacle suggests the danger of regression. 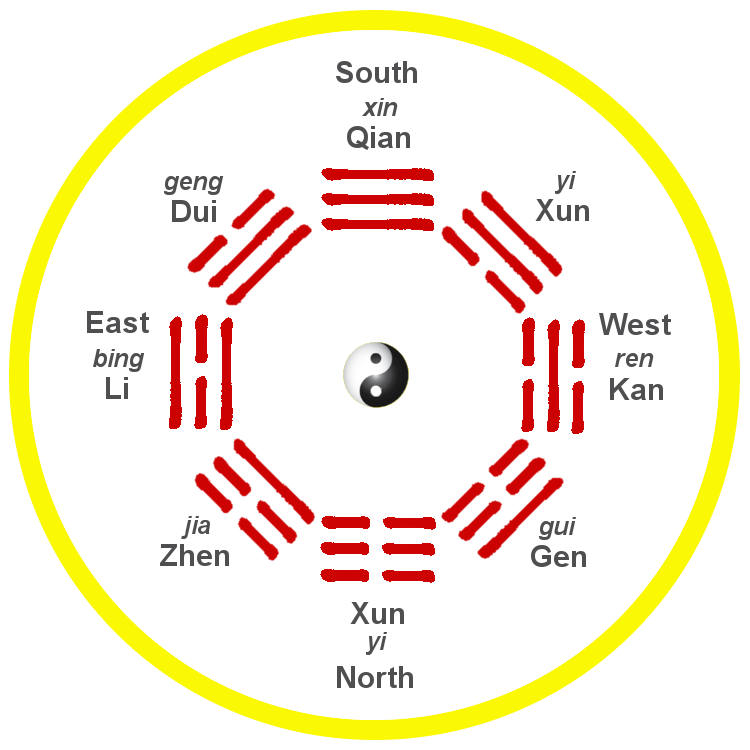 The light is darkened in varying degree by the nuclear trigram Xun, wood, contained within the hexagram. The hexagram is one of those referring to the mutability of all earthly things. This is most likely also the meaning of the saying, “Abundance means many occasions,” that is, occasions for care and sorrow. It is not given to every mortal to bring about a time of outstanding greatness and abundance. Only a born ruler of men is able to do it, because his will is directed to what is great. Such a time of abundance is usually brief. Therefore a sage might well feel sad in view of the decline that must follow. But such sadness foes not befit him. Only a man who is inwardly free of sorrow and care can lead in a time of abundance. He must be like the sun at midday, illuminating and gladdening everything under heaven. Abundance means greatness. Clarity in movement, hence abundance. “The king attains abundance.” In this way greatness is emphasized. “Be not sad. Be like the sun at midday.” One should give light to the whole world. When the sun stands at midday, it begins to set; when the moon is full, it begins to wane. The fullness and emptiness of heaven and earth wane and wax in the course of time. How much truer is this of men, or of spirits and gods! Feng represents a time when clarity and progress bring about greatness and prosperity in public life. To achieve these, there is needed a strong and leading personality, drawing to itself others of like nature. Therefore it is not the relation of correspondence but that of congruity between the lines which must be taken into account (cf. the nine at the beginning and the nine in the fourth place, as well as the six in the second place and the six in the fifth place). But such a time of very great culture also carries hidden dangers. 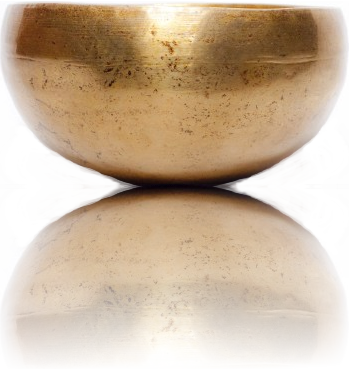 For according to the universal law of events, every increase is followed by decrease, and all fullness is followed by emptiness. There is only one means of making foundations firm in times of greatness, namely, spiritual expansion. Every sort of limitation brings a bitter retribution in its train. Abundance can endure only if ever larger groups are brought to share in it, for only then can the movement continue without turning into its opposite. 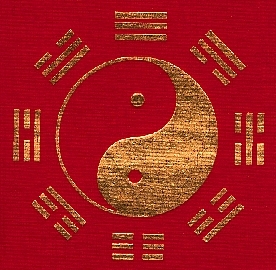 This hexagram has a certain connection with Shih Ho, Biting Through (hexagram 21), in which thunder and lightning similarly appear together, but in the reverse order. In Biting Through, laws are laid down; here they are applied and enforced. Clarity [Li] within makes it possible to investigate the facts exactly, and shock [Zhen] without ensures a strict and precise carrying out of punishments.